Cigar Star Starter humidor with Case & Cutter. This makes the perfect gift! 50 Cigar total. Made with a Rosewood exterior. Comes with a cutter and travel case. 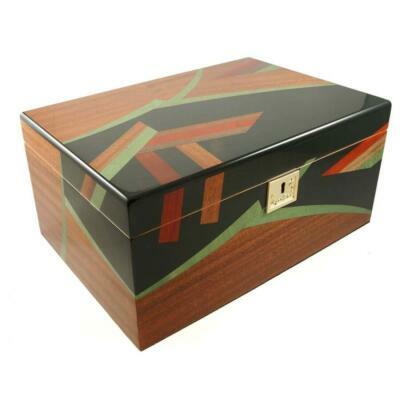 Perfect for starting your collection of cigars. 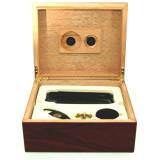 Looking for the best humidor starter kit option for starting out with cigars? 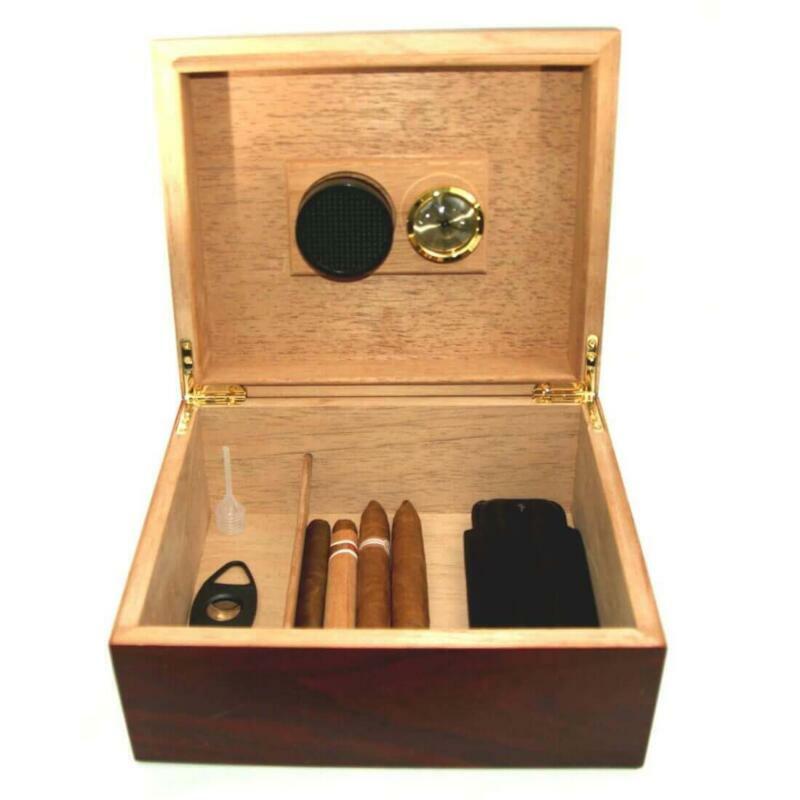 This humidor starter kit is perfect to get started for the beginner cigar smoker. Made with a Rosewood exterior. Matte finish on the outside and kiln dried Spanish cedar on the interior. 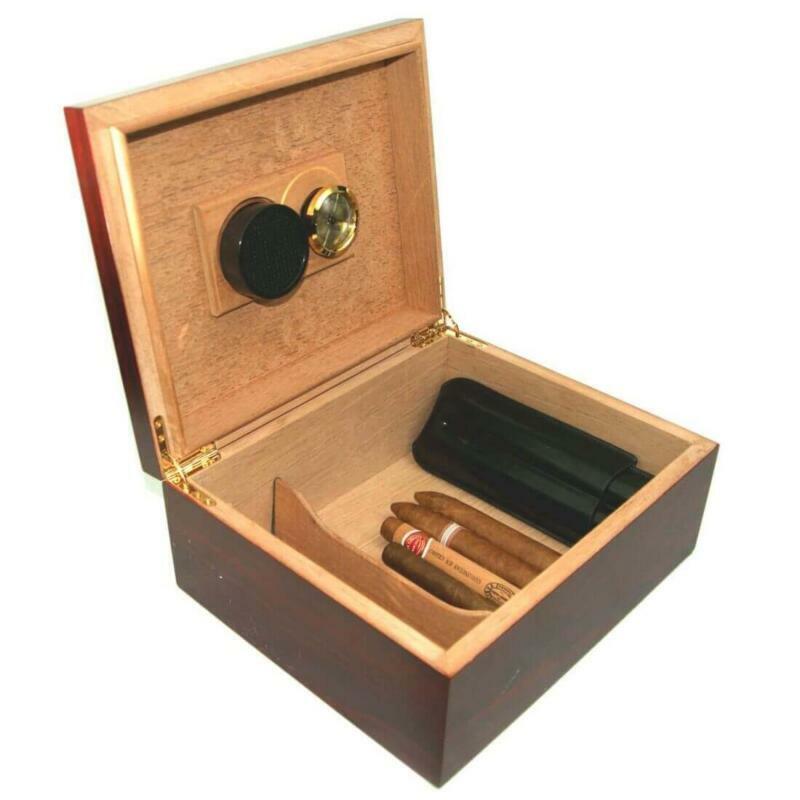 Add a bottle of humidor solution and you are all set to go! 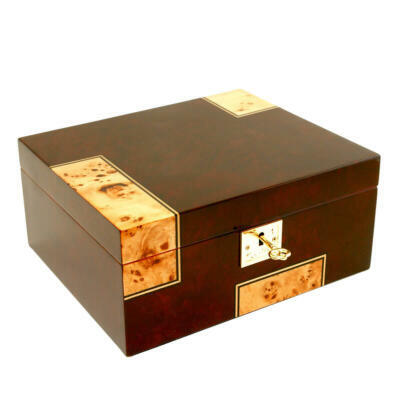 This humidor is surrounded by premium quality kiln dried Spanish cedar. 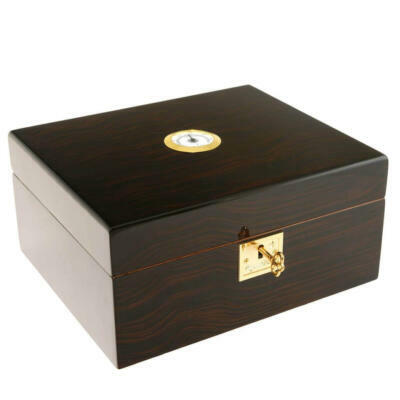 The superbly crafted humidor and lid are a perfect match that forms a tight seal to maintain a constant and hassle-free 70% humidity level. 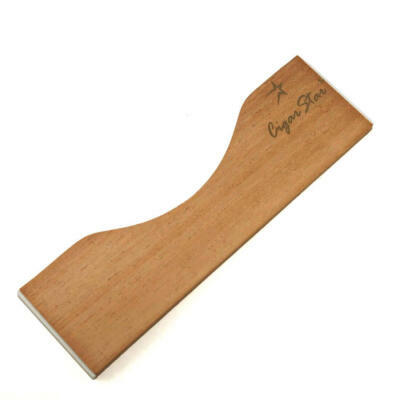 Comes with everything you will need to start enjoying cigars. 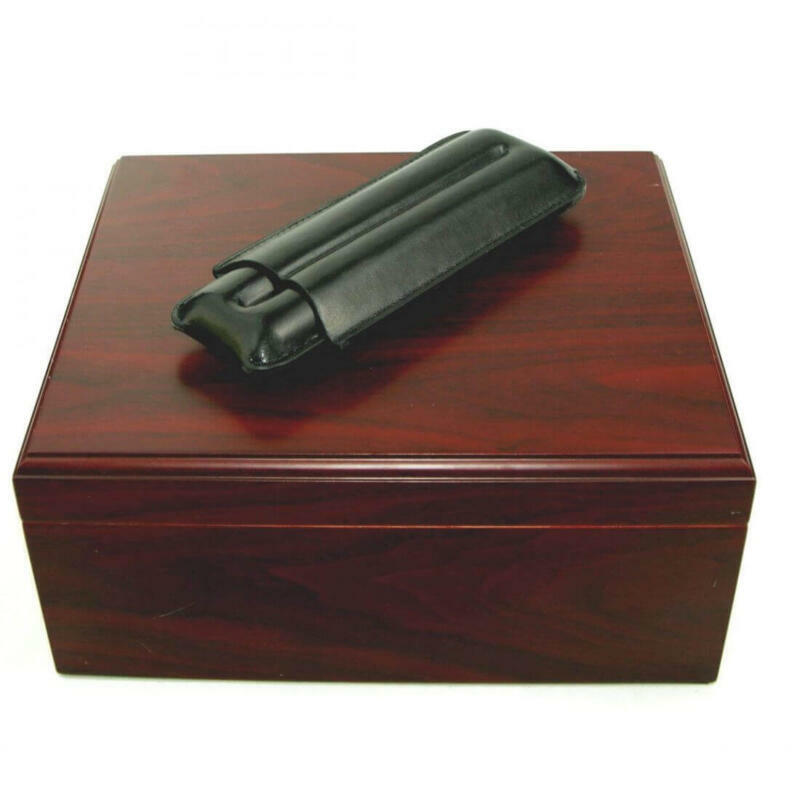 Hand crafted from beautiful Rosewood. 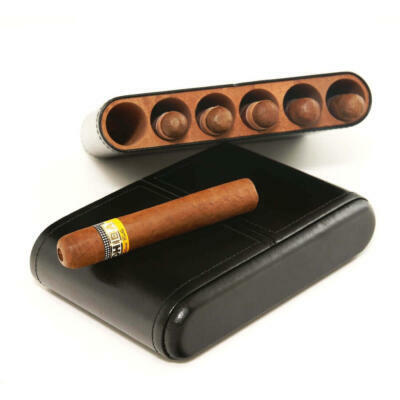 2 cigar black leather travel case. 1 easy-read hygrometer placed inside on top of the lid. 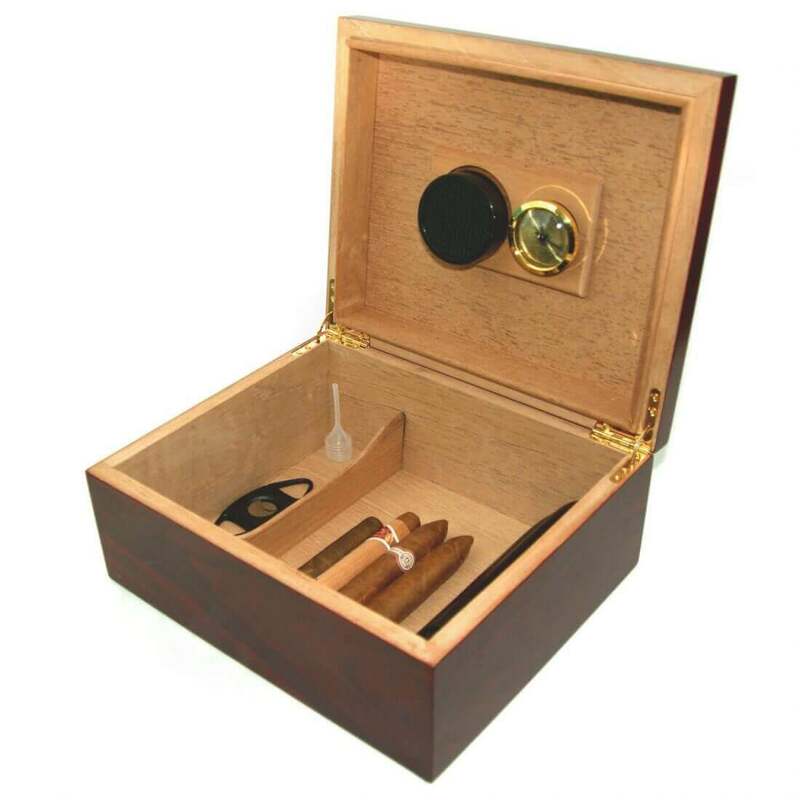 Comes with 60 day warranty and instructions on how to activate your humidor. 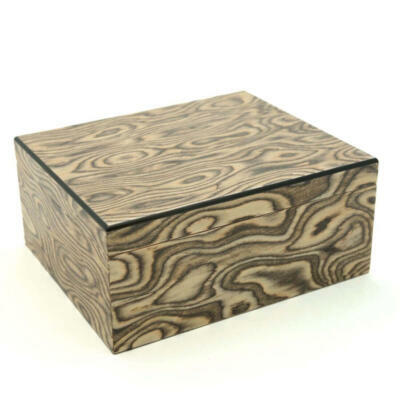 Amazing deal, justh the humidor I wanted plus extras. A+ Will recommend to all my friends! Very fast shipping! Thanks keep up the good work! Just received this starter kit today and wow am I amazed with the packaging. 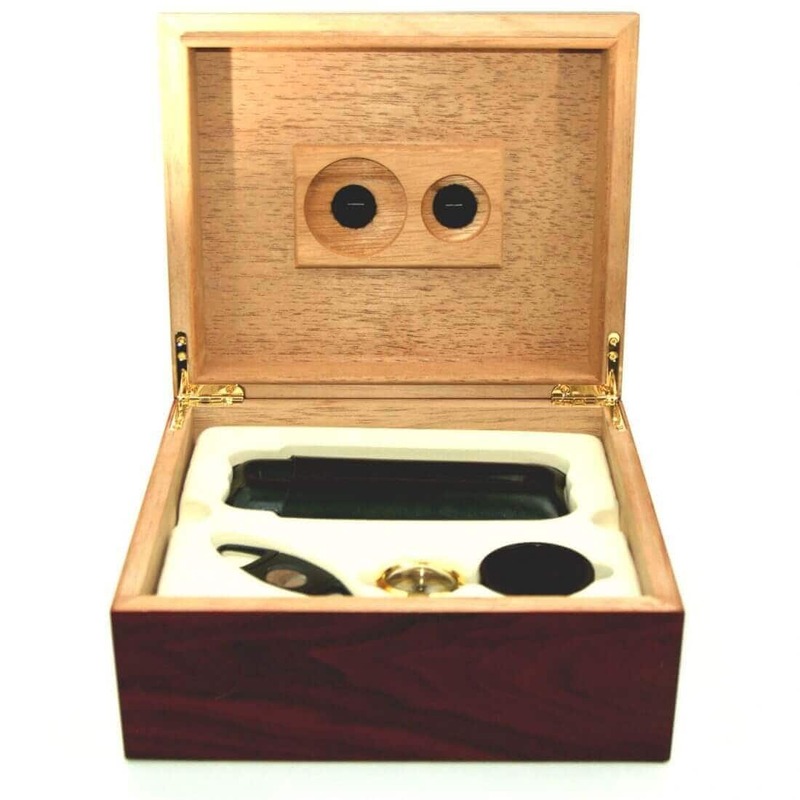 Quality of the humidor is solid and accessories that come with the kit is everything you need for beginners to keep your fav cigars properly stored. Thank you Cigar Star for your amazing customer service. I highly recommend this product and will continue to order in the near future.